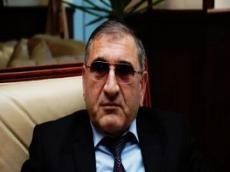 Zimbabwe has a strong interest in the experience of Azerbaijan in the proper organization of governance, the conduct of independent policies based on national interests and also in the country's experience in economic and social reforms, Azerbaijani MP Tahir Rzayev told Trend, commenting on the visit of the Zimbabwean President Emmerson Mnangagwa to the country. The MP noted that Azerbaijan’s effective management in the mining industry, ensuring transparency of revenues from the non-oil sector, well-considered investment in other sectors of the economy, development of the non-oil sector, transport infrastructure and agriculture, achievement of 100 percent literacy and success in other areas are recognized as an interesting experience. Rzayev added that the Zimbabwean president had chosen Azerbaijan, Russia, Belarus and Kazakhstan for his overseas tour. "These countries have been chosen to exchange experience, explore new opportunities for economic and trade cooperation, and make investments, given the fact that they have the highest rates in the CIS," he said. He underlined that Azerbaijan will chair the Non-Aligned Movement in 2019-2022, in which Zimbabwe is also actively involved. Rzayev added that the number of countries willing to cooperate with Azerbaijan, which is reliable, worthy and responsible participant in international relations, is growing.